All texture sets have a Attribution-ShareAlike 4.0 International license. Textures for any game that uses PBR textures. This is another sci-fi tech themed texture set. All PBR textures are 2048×2048 in size and have Diffuse, Normalmap, Height, Roughness maps included. One material has an additional emission map. 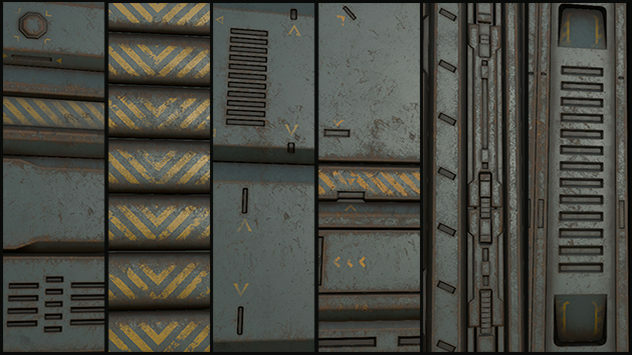 These textures are also available on my Unity Asset Store. 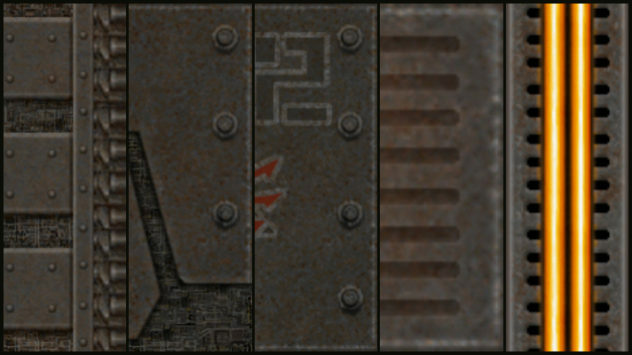 Textures for the game Quake 3. 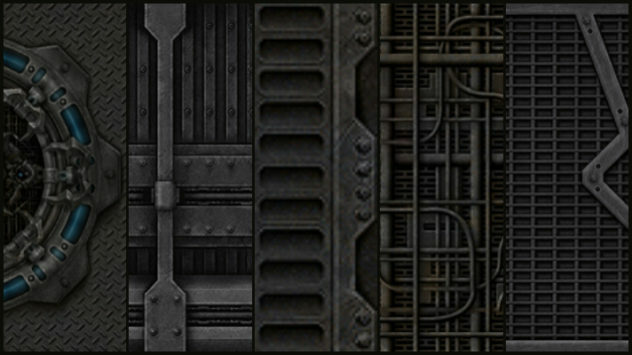 This is a tech texture set heavily inspired by the tech look in some of the ‘Aliens’ movies. For this texture set I tried to mix up some eerie old castle feel with the cold steel. 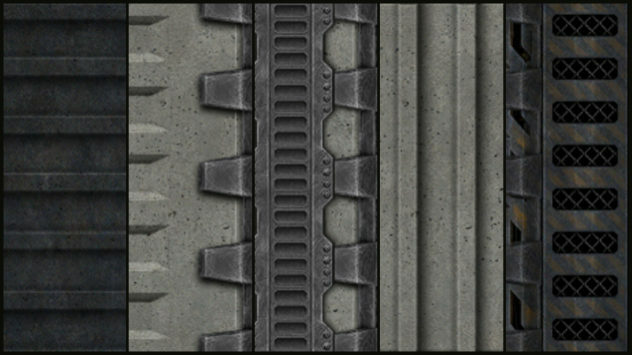 This is a good concrete and metal texture set, there are many CTF textures included in the ZIP aswell. This is probably the easiest and all rounded texture set I have done. Here’s my ode to Quake2. In this set you have 118 texture inspired (many remakes) of the great Quake 2 textures. 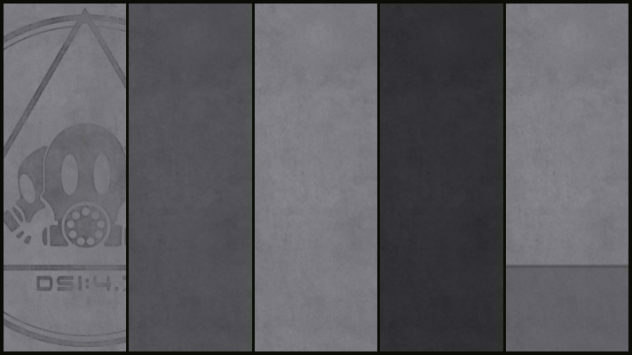 These are by far the easiest I have found to work with from all my texture sets. They we’re a great deal of fun to make and I hope you have the same pleasure in using them. 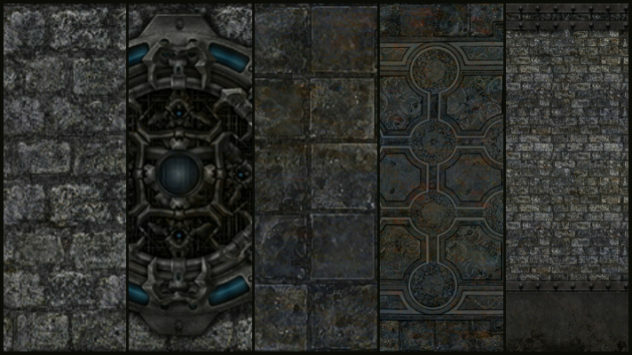 Textures for the game Quake 4. All textures come with diffuse, specular, normal maps and height maps. Quake 4 Material file (.mtr) included. This is the most minimal texture set I have done. It is very good to use when you want to display good brushwork and keep things clean and simple. 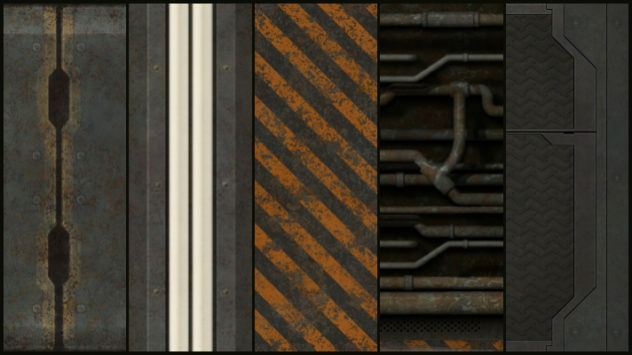 This is a set of 103 industrial textures. These are especially made to be used in maps utilizing the celshading of q3map2 by Ydnar in Quake3 Arena. 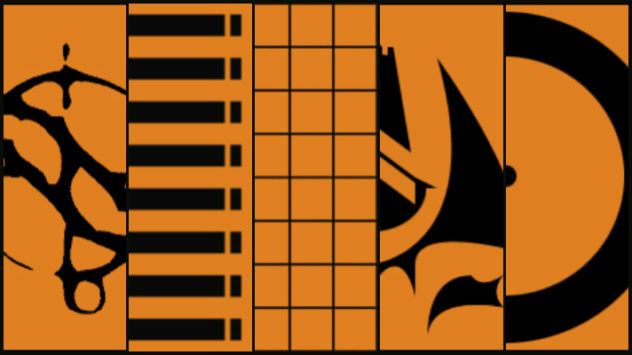 What are template textures you ask? 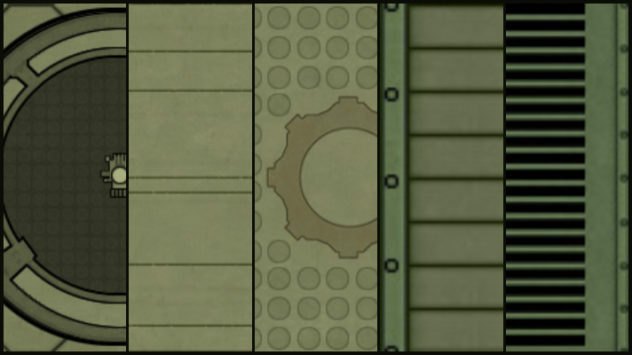 Template texture are used when you first start to build a map, instead of using one texture on everything, you can use these textures. The main function though is that you can have trim textures, jump pads, floors and walls etc. that are slightly different then once you have a finished layout you can use the find\replace function in your map editor and quickly replace these textures with normal ones. It’s kinda stupid but it does make things go a bit quicker.